Yes, I realize the computer looks different from comic to comic. Think about it though: Drannik and Lizzep like to steal stuff, especially stuff that people like to throw away. Why would it be any different for computers? 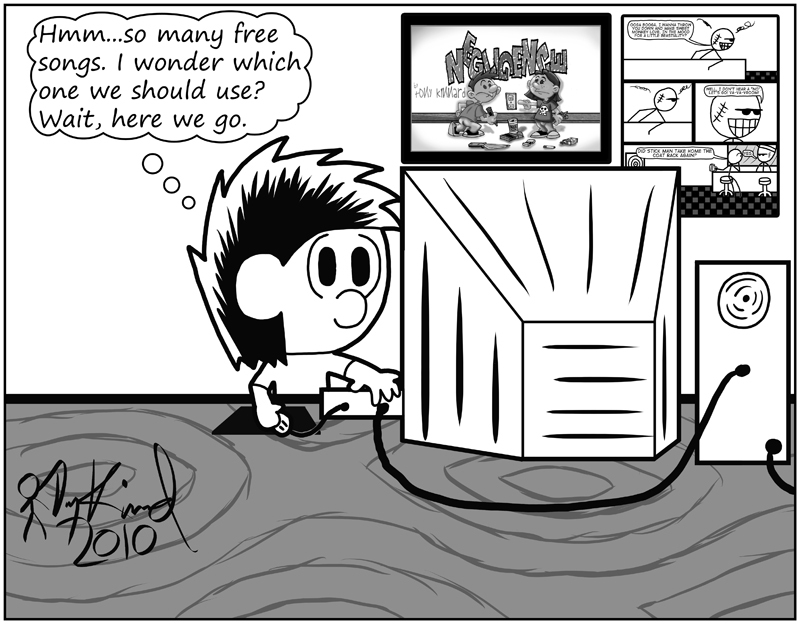 In the background is Roy Duncan's Negligence Title Card (he creates a comic called Villain Next Door) and a page from another comic I do: Stick Man 10th Anniversary.